Day trips to Jersey with Condor Ferries - what happens? 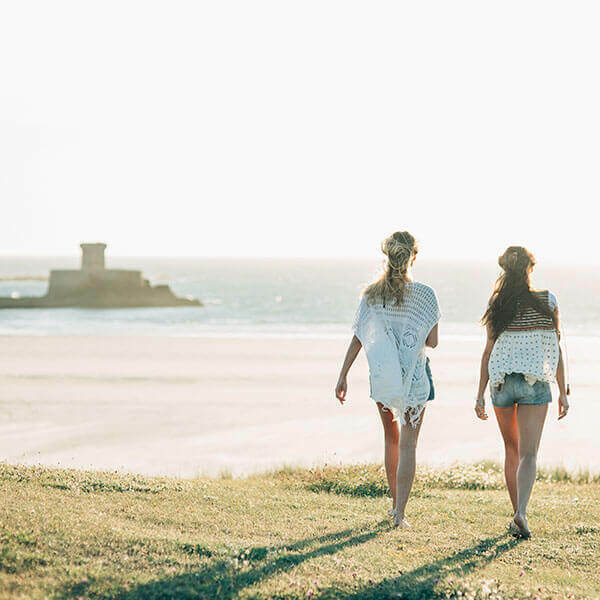 Discover the beauty of the Channel Islands on a day trip to Jersey. Just hop on our high-speed service for an unforgettable day out, exploring the history and heritage of this unique destination. Sail with us on our newest high-speed ship, Condor Liberation. You’ll have up to six hours ashore to relax and unwind, experiencing the peace and tranquility of this beautiful island. Get involved in Living History demonstrations and plunge into an experience of life as a soldier throughout the ages in which the awe-inspiring Elizabeth Castle defended Jersey. When Jersey is exposed to the dynamic weather of the Atlantic, it has a front row seat to some of the most dramatic storms. Find viewpoints all across the west coast to witness these natural light displays. From dolphin and seal spotting to cruising past caves and cliffs, this joyous mix of stunning scenery, wildlife and adrenaline rush ensures there’s something for everybody on a Jersey Seafari. Grab a yoga mat, head outdoors and soak up the landscape of a variety of locations around the Island. With classes offered daily, Yoga Pulse helps you enjoy keeping fit on beaches and bays alike. Immerse in a relaxing stroll around Jersey Lavender, the working lavender farm where visitors can learn about the distillation process or simply bask in the aroma that engulfs the fields. Grab your GPS device or smartphone and try the intriguing pastime of Geocaching. With a variety of scenic trails leading to cleverly stashed prizes across the Island, this popular craze is guaranteed outdoor family fun. Work alongside Jersey Zoo’s experienced animal keepers to enjoy an unforgettable experience of face to face encounters with a spectrum of weird and wonderful creatures. 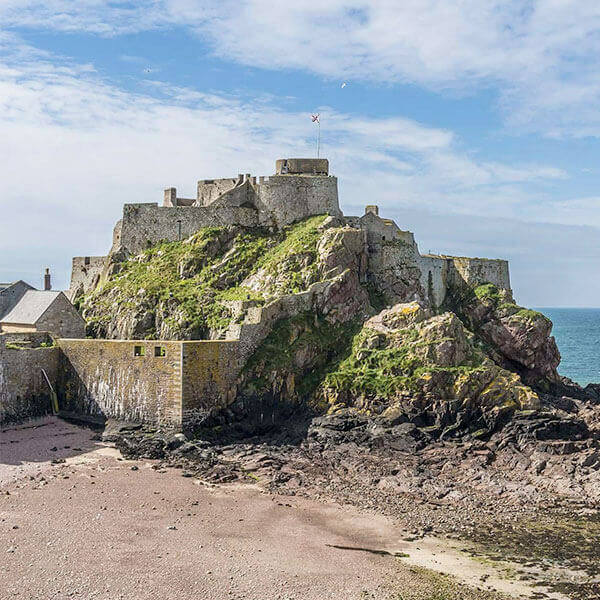 Jersey Heritage have cleverly transformed properties dating back to 550 AD into unique holiday lets, so you can experience a stay with a difference in brilliantly renovated bunkers and buildings. Pit your intelligence, intuition and teamwork skills to solve mind bending clues in the Escape Room. Set in the historic German Commandant’s office, your team must reveal the code to unlock the door in this brand new attraction. For the thrill seekers. If the wind rushing through your hair at 120mph before gently gliding over breathtaking views of Jersey sounds appealing, then consider a Skydive, Channel Islands style. Bus The nearest bus stop is in St. Helier, about a 10 minute walk away. For more information on the bus services available in Jersey please visit Liberty Bus. Car At Route De La Liberation roundabout take the 2nd exit onto La Route Du Port Elizabeth. Follow signs to Ferry port.